Every Cause has its Effect; every Effect has its Cause; everything happens according to Law; Chance is but a name for Law not recognized; there are many planes of causation, but nothing escapes the Law. Born from the ego, the liberator and enslaver. The wellspring of knowledge yet simultaneously the veil that confines us to an illusory world. Want to live forever? 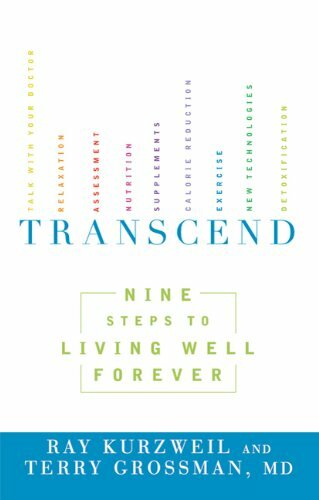 Read “Transcend” by Ray Kurzweil, genius extraordinaire. According to him you can. He especially goes into depth in regards to ‘The Ray Kurzweil Diet’, the book included recipes, exercises and lifestyle habits. Back in 2003, Oxford professor Nick Bostrom suggested that we may be living in a computer simulation. In his paper, Bostrom offered very little science to support his hypothesis — though he did calculate the computational requirements needed to pull off such a feat. And indeed, a philosophical claim is one thing, actually proving it is quite another. But now, a team of physicists say proof might be possible, and that it’s a matter of finding a cosmological signature that would serve as the proverbial Red Pill from the Matrix. And they think they know what it is. Good Luck, Bad Luck, Who Knows? Copyright © Nik Nejad and The Unity Codex, 2014. All rights reserved. Permission is given to copy and distribute the posts of this blog for non-commercial purposes provided the content remains unaltered. Excerpts and links may also be used for non-commercial purposes. In all the cases credit is to be given to https://theunitycodex.wordpress.com with appropriate and specific direction to the original content. The copyrights and credits of other original sources are to be respected, when that´s the case. There comes time when you decide to listen to your Soul and fulfill it's calling. This is a journey of my Soul. You just have to be willing to see it.